Product prices and availability are accurate as of 2019-04-21 16:53:39 EDT and are subject to change. Any price and availability information displayed on http://www.amazon.com/ at the time of purchase will apply to the purchase of this product. 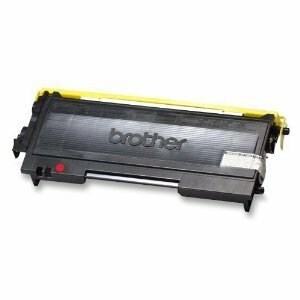 Grab a product that will consistently deliver great results day after day with this Brother black toner cartridge. It can print up to 2,500 pages, so you won't have to replace the cartridge too often, and it fits selected Brother printers perfectly. It's also compatible with a number of fax machines and the DCP-7020 photocopier for extra flexibility.